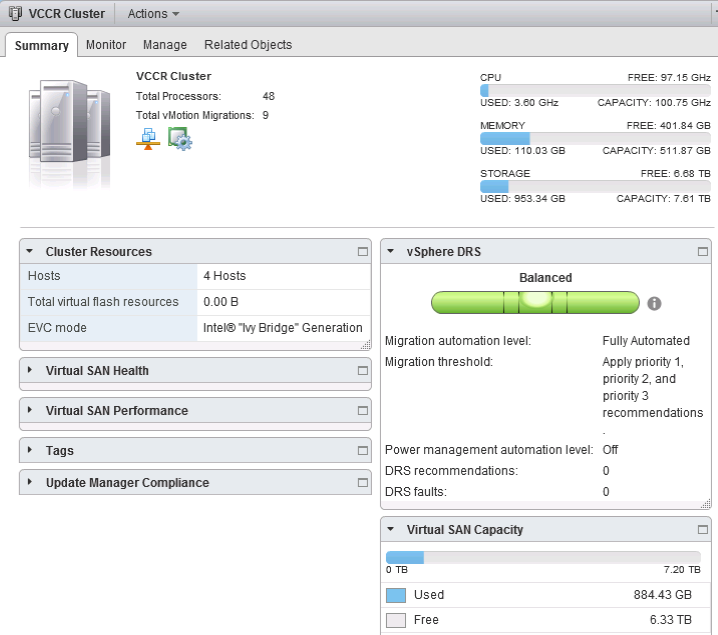 To receive replicas of VMs, deploy a new and dedicated vSphere environment, built with several ESXi nodes and a vCenter appliance. Used version in this book is vSphere 6.5. The four nodes are grouped into a vSphere cluster where a shared storage is available and visible to all nodes. Also, HA, vMotion and DRS are enabled, so that a failure in one of the nodes doesn&apos;t interrupt the cluster itself and the replication services can continue. Management (id 51): This is the management network where vCenter, Veeam Backup & Replication and other management machines are deployed. The network is 10.10.51.0/24. 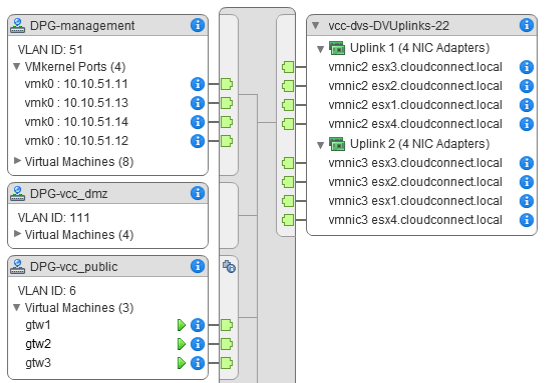 vcc_dmz (id 111): this is the network where the internal interfaces of the Cloud Gateways are connected. The network is 10.10.111.0/24. vcc_public (id 6): This is the network where the public IPs are published. Here there are the three external interfaces of the cloud gateways, and here the external interfaces of the NEAs will be connected. Any additional port group assigned to a tenant will be created directly over this distributed switch, and a unique VLAN ID will be assigned to it.